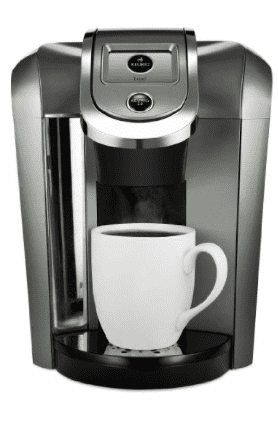 A few years ago, Keurig released its 2.0 Brew System. This range features a selection of new great coffee machines models that offer enhanced functionality and features. While all the brewers in the 2.0 range share much in common, there are a few minor differences that offer potential purchasers a choice when selecting the right 2.0 brewer for their needs and budget. If you’re in the market for a new or replacement Keurig, take a look at our comparison of two of the 2.0-range models, the K450 and K550. The K450 is a sleek, slimline brewer that is easy to use and maintain while offering a level of flexibility and control over what is a pretty uniform process (K-Cup in, coffee out). In terms of operation, you simply fill the generously-sized 70oz water tank, open the lid using the handle, insert the coffee capsule of your choice (from the K-Cup or K-Carafe 2.0- compatible range), lower the handle and select the desired brewing options using the 2-inch color touchscreen. The K450 does the rest! The control you have over this process comes in both brew strength and size. In fact, one of the features common to the new 2.0 Brewing System models is that they allow the user to select the strength of the coffee – for a stronger brew, the amount of water used is automatically adjusted. You can also select 10 different serving sizes, from 4oz to 30oz, for single or multiple cups. 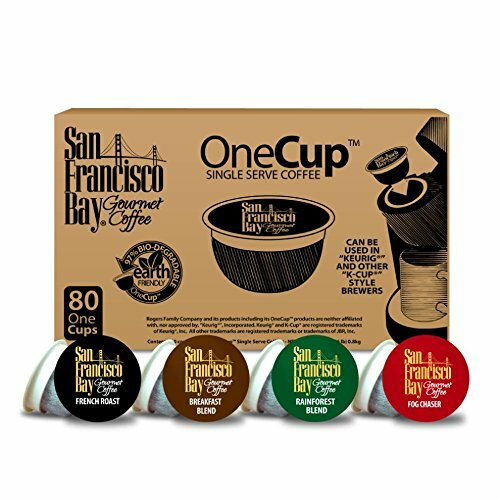 The 4, 6, 8 and 10oz sizes are for single K-Cups, while the 12, 14 and 16oz options are for the larger Vue packs. The 22oz to 30oz options are for use with the 4-cup K-Carafe, which is supplied with the brewer as standard. In terms of brew time, a single cup dispenses in about 1 minute and a carafe in about 3 minutes. There is no option to dispense hot water. If you want to make tea or top up your Americano, you have to run a brew cycle without the coffee capsule (or just boil the kettle, of course!). The K450 unit can be programmed to start at a specific time, but only for carafes (not for single cups). There is also an automatic switch-off facility, so you can program the unit to switch off after a specific number of minutes. The drip tray can accommodate cups or mugs up to 5.5 inches. If you remove the drip try, you can fit mugs of up to 7 inches tall under the dispenser. If you want to use the carafe, you need to remove the drip tray in order to slot it into place. The unit is also multi-lingual, meaning you can set the touch screen language to either English, Spanish or French. 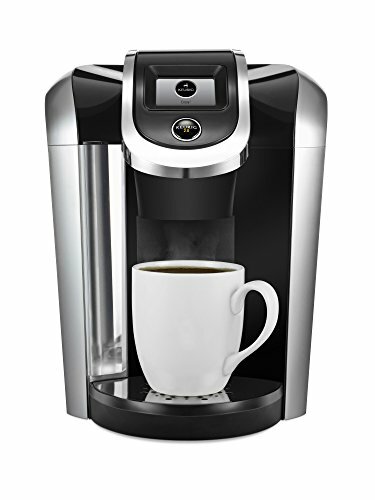 To get you started right out of the box, the K450 is sold new with 6 K-Cup pods and 4 K-Carafe pods. You also get a water filter, water filter handle, and cartridge. The filter is optional but can improve coffee quality. In terms of maintenance, the outside of the unit should be wiped down with a soft cloth. The removable parts – drip tray, water tank and carafe – should be washed by hand in warm soapy water (not in the dishwasher!). As with most coffee machines, a periodical descaling is required. Frequency depends on water hardness and how often you use the brewer, but on average you’re looking at every 3 to 6 months. Overall, this is quality Keurig product that offers good functionality with the advantage of the extra control offered by the 2.0 range. * The K450 is a discontinued model. It has been replaced by model K475. In truth, there are more similarities than differences with this model over the one above. Operationally, the K550 works in the same way, with identical programmable features, dimensions and coffee options. They even look the same! However, some of the differences between the K450 and K550 might prove to be the crucial factor that helps you choose which to purchase, so we’ll concentrate on the improvements this model has over the K450. The first thing to note is the larger water tank. The K550 offers a full 10oz more, which would make it a better choice for an office setting or a large household with lots of coffee lovers. A second difference is the 1.5-inch larger color touchscreen. This improves ease-of-use and screen visibility. There is also the option of changing the wallpaper and colors on the touch screen (to red, blue, green or white). This gives the K550 a slightly more modern look. One of the main advantages the K550 has over the K450 is its ability to provide hot water on demand without needing to run a brew cycle. Everything else is pretty much the same as the K450. You have the same brew size and strength options. There is an automatic shut-off feature and the unit can be programmed to start at a specific time (again, just for carafes, not for single cups.) The maintenance requirements are also the same and the K550 is sold new with the equivalent start pack of K-Cups/K-Carafes and water filter kit. 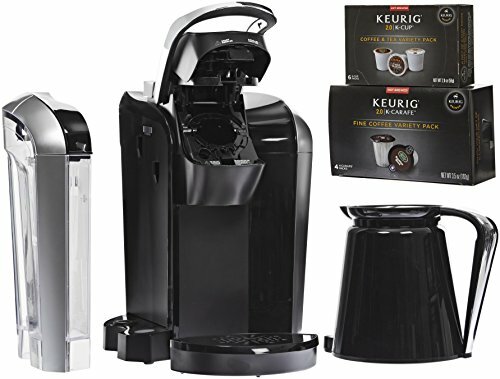 Overall, this is another quality Keurig product that offers the same functionality and control as the other models in the 2.0 range, including the K450, but with a few extras features and enhancements. * The K75 is the newer version of the K550. ** There is also a newer 2.0 version of the K550 available. As you can see, there are lots of similarities between these two Keurig 2.0 Brew System brewers. They have similar functionality and maintenance requirements. Both can handle single K-Cups and larger K-Carafes and offer the full range of compatible pods. As a result of these similarities, the coffee served up by both the K450 and K550 is of equal quality. In terms of the coffee, initially Keurig 2.0 brewers were made to only be compatible with the newer 2.0 K-Cups and K-Carafes. This meant you couldn’t use your own ground coffee or a reusable filter. The 2.0 system can ‘read’ each capsule lid and would not brew with incompatible capsules. 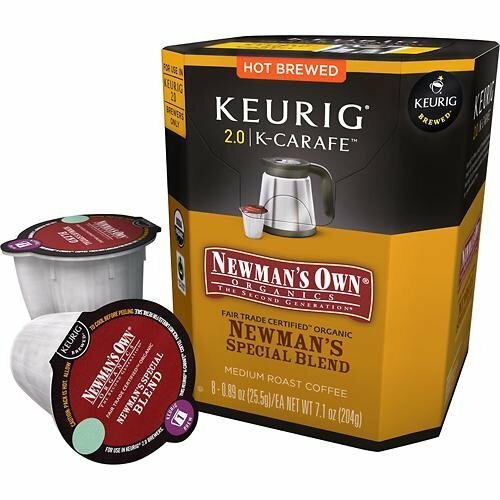 Keurig has since started making all K-Cups with 2.0-compatiable lids, but it’s worth checking to be sure. They have also released the 2.0 reusable filter, offering even more coffee options (which is, after all, one of the main draws of this type of brewing). Note that the ‘old style’ My K-Cup reusable filter is not compatible with the 2.0 system. Choosing between these two models therefore really comes down to the lesser features and how important they are to your coffee experience. For example, if hot water on demand, a larger touchscreen, and a 10oz-larger water tank are high on your wish list, then it’s worth investing in the K550. However, the (now discontinued) K450 is a more than acceptable brewer that offers the chance the explore the world of K-Cups and K-Carafes. If you’re considering an upgrade from your current K450 or earlier model, it’s hard to make a strong case for splashing out for the K550. So, the overall verdict has to be that both the K450 and K550 are equally capable brewers, with the K550 offering a slight upgrade.